Tom and Tristen sit in their tree stand in Wellston, Ohio, on November 18, 2017. Tom built the stand roughly 5 years ago, and it's now used primarily as a site to teach Tristen because of its large size. 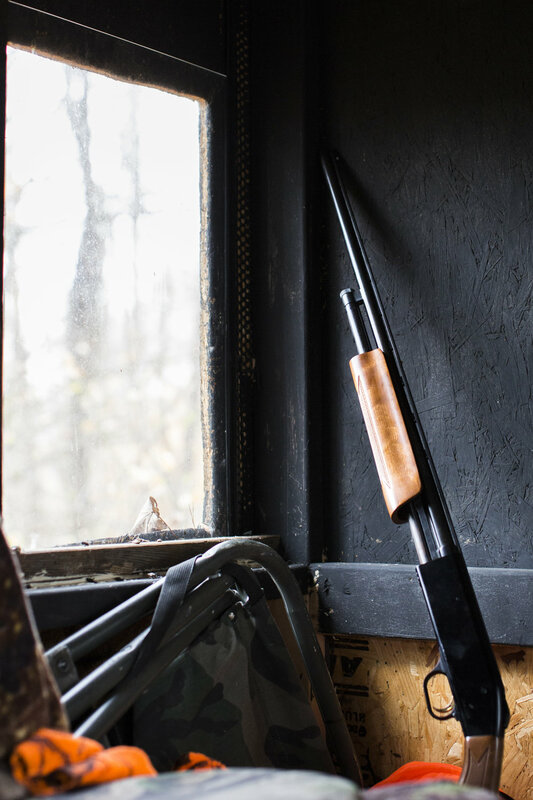 The Mossberg 500 .410 that Tristen uses to hunt sits in the corner of the tree stand in Wellston, Ohio, on November 18, 2017. This was Tristen’s first year hunting with a firearm. Tristen waits to hand the shotgun to his father as they leave the tree stand to stir deer from their bedding in Wellston, Ohio, on November 18, 2017. Tristen waits for deer in Wellston, Ohio, on November 18, 2017. Tristen is an accomplished hunter despite his young age. “at 10 years old he’s killed, I think, 5 deer,” said Denney. Tristen listens to advice from his father Tom while hunting in Wellston, Ohio, on November 18, 2017. Tom says that Tristen has been joining him on hunts since he could walk. Tristen and Tom return to their hunting camp after an unsuccessful afternoon of hunting in Wellston, Ohio, on November 18, 2017. 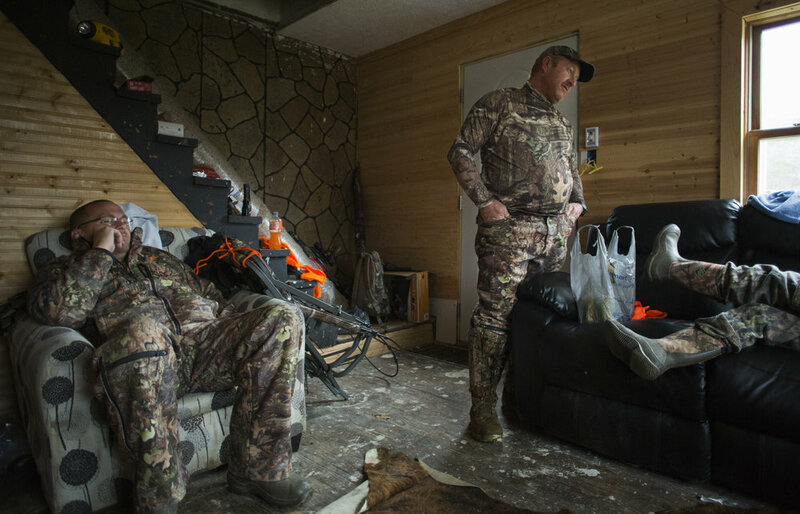 Tom Denney, left to right, Dennis Pendarvis, and Tristen Denney relax back at camp after an unsuccesful morning of hunting in Wellston, Ohio, on November 19, 2017.